This is another post from when I had a cold, felt badly but had company staying with us. I needed an easy appetizer and the Louisiana Grills Pellet Smoker saved my day. It just makes making chicken wings so easy. 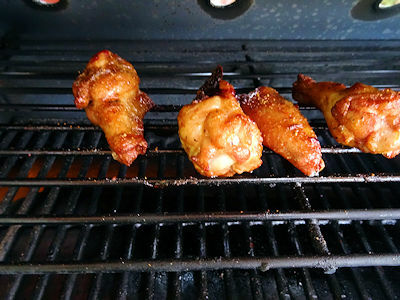 I just tossed a dozen wing segments in one tablespoon of oil and shook enough Louisiana Grills Smokey Spicy Sweet Hot seasonings over them to give them a good coating. You can use any seasoning blend you like. 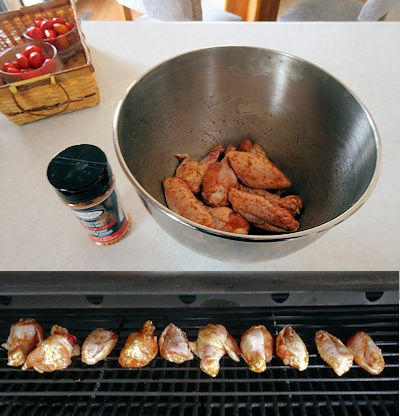 Try different barbecue rubs, Italian, Thai, Greek, Cajun or other seasoning mixes. 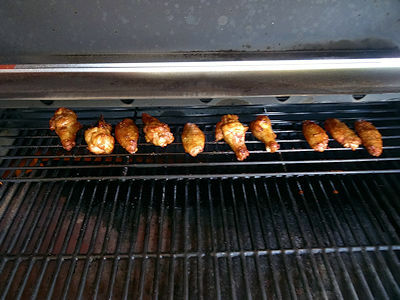 I preheated my grill to 325 F and put the wings on to smoke over pecan pellets. You could also do them with indirect cooking on a barbecue grill. You can do the same thing on a rack over a tray in the oven but there won’t be that great smoke touch to the wings. After 30 minutes, I turned the wings. I smoked for another 25 minutes. 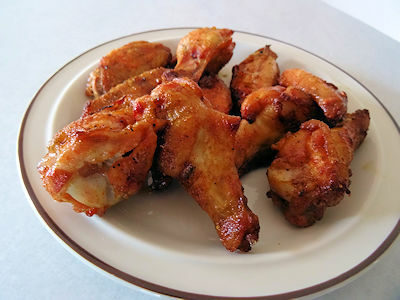 This is such a great way to do wings. They come out crispy like She Who Must Be Obeyed likes and they have a great taste and texture. You will see me doing many more wings on my pellet smoker.